Thomas Myers was given honorable mention Division II All-Ohio Wednesday by the Ohio Prep Sportswriters Association. 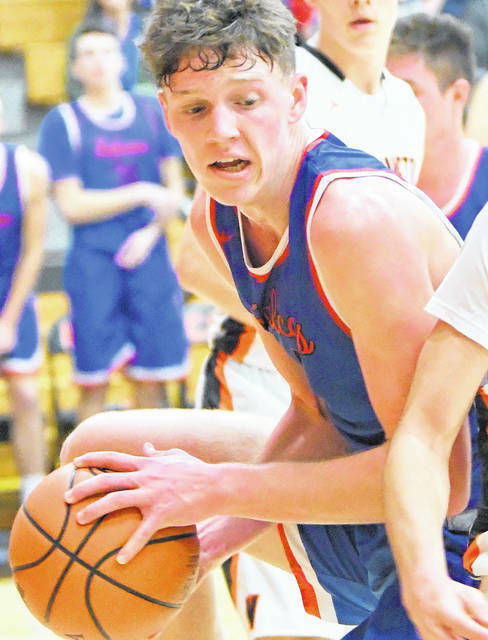 Clinton-Massie’s Thomas Myers was given honorable mention Division II All-Ohio Wednesday by the Ohio Prep Sportswriters Association. Myers, who reached the 1,000-point plateau this season, averaged 15.2 points and 8 rebounds per game for Todd Cook’s Falcons. Myers, a 6-6 senior center, made 50 percent of his field goal attempts while earned first team All-SBAAC American Division honors. He was a member of the District 15 coaches upperclassman team. A four-year starter at CMHS in basketball, Myers also was an All-Ohio football player, earning second team honors this past fall for the Falcons.